Middle East is one of the most prolific waste generating regions worldwide with per capita waste production in several countries averaging more than 2 kg per day . High standards of living, ineffective legislation, infrastructural roadblocks, indifferent public attitude and lack of environmental awareness are the major factors responsible for growing waste management problem in the Middle East. 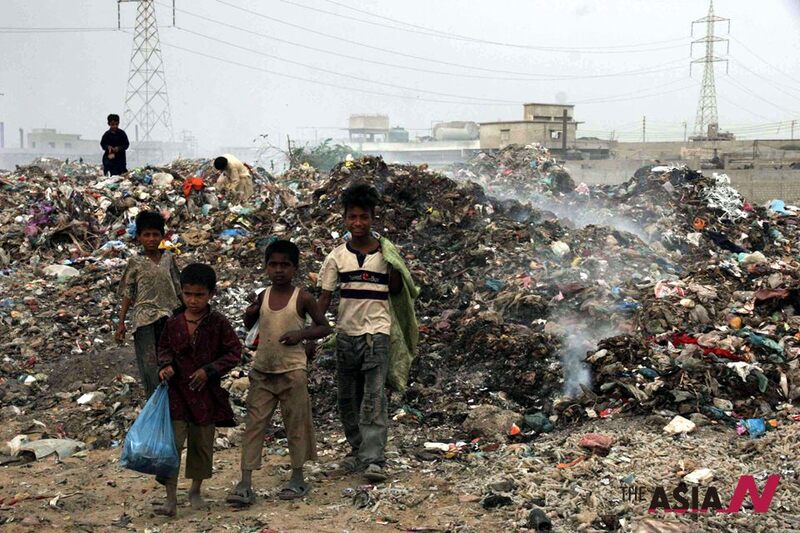 Lavish lifestyles are contributing to more generation of waste which when coupled with lack of waste collection and disposal facilities have transformed ‘trash’ into a liability. The general perception towards waste is that of indifference and apathy. 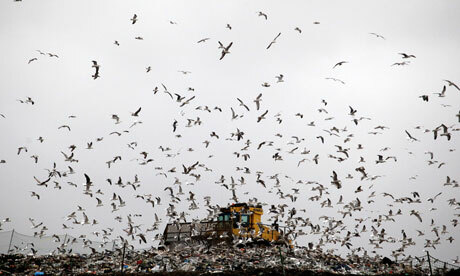 Waste is treated as ‘waste’ rather than as a ‘resource’. There is an urgent need to increase public awareness about environmental issues, waste management practices and sustainable living. Public participation in community-level waste management initiatives is lackluster mainly due to low level of environmental awareness and public education. Unfortunately none of the countries in the region have an effective source-segregation mechanism. Waste management in Middle East is bogged down by deficiencies in waste management legislation and poor planning. Many countries lack legislative framework and regulations to deal with wastes. Insufficient funds, absence of strategic waste management plans, lack of coordination among stakeholders, shortage of skilled manpower and deficiencies in technical and operational decision-making are some of the hurdles experienced in implementing an integrated waste management strategy in the region. In many countries waste management is the sole prerogative of state-owned companies and municipalities which discourage participation of private companies and entrepreneurs. Many Middle East nations lack legislative framework and regulations to deal with urban wastes. Due to lack of garbage collection and disposal facilities, dumping of waste in open spaces, deserts and water bodies is a common sight across the region. Another critical issue is lack of awareness and public apathy towards waste reduction, source segregation and waste management. A sustainable waste management system demands high degree of public participation, effective laws, sufficient funds and modern waste management practices/technologies. The region can hope to improve waste management scenario by implementing source-segregation, encouraging private sector participation, deploying recycling and waste-to-energy systems, and devising a strong legislative and institutional framework. 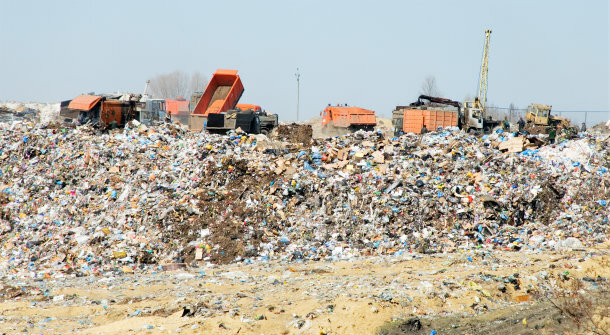 In recent year, several countries, like Qatar, UAE and Oman, have established ambitious solid waste management projects but their efficacy is yet to be ascertained. On the whole, Middle East countries are slowly, but steadily, gearing up to meet the challenge posed by waste management by investing heavily in such projects, sourcing new technologies and raising public awareness. However the pace of progress is not matched by the increasing amount of waste generated across the region. Sustainable waste management is a big challenge for policy-makers, urban planners and other stake-holders, and immediate steps are needed to tackle mountains of wastes accumulating in cities throughout the Middle East. 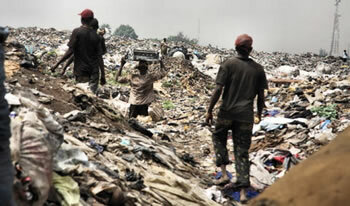 Solid waste management is the most pressing environmental challenge faced by urban and rural areas of Nigeria. Nigeria, with population exceeding 170 million, is one of the largest producers of solid waste in Africa. Despite a host of policies and regulations, solid waste management in the country is assuming alarming proportions with each passing day. Nigeria generates more than 32 million tons of solid waste annually, out of which only 20-30% is collected. Reckless disposal of MSW has led to blockage of sewers and drainage networks, and choking of water bodies. Most of the wastes is generated by households and in some cases, by local industries, artisans and traders which litters the immediate surroundings. Improper collection and disposal of municipal wastes is leading to an environmental catastrophe as the country currently lack adequate budgetary provisions for the implementation of integrated waste management programmes across the States. According to the United Nations Habitat Watch, African city populations will more than triple over the next 40 years. African cities are already inundated with slums; a phenomenon that could triple urban populations and spell disaster, unless urgent actions are initiated. Out of the 36 states and a federal capital in the country, only a few have shown a considerable level of resolve to take proactive steps in fighting this scourge, while the rest have merely paid lip services to issues of waste management indicating a huge lack of interest to develop the waste sector. Lagos State, the commercial hub of Nigeria, is the second fastest growing city in Africa and seventh in the world. The latest reports estimate its population to be more than 21 million making it the largest city in entire Africa. 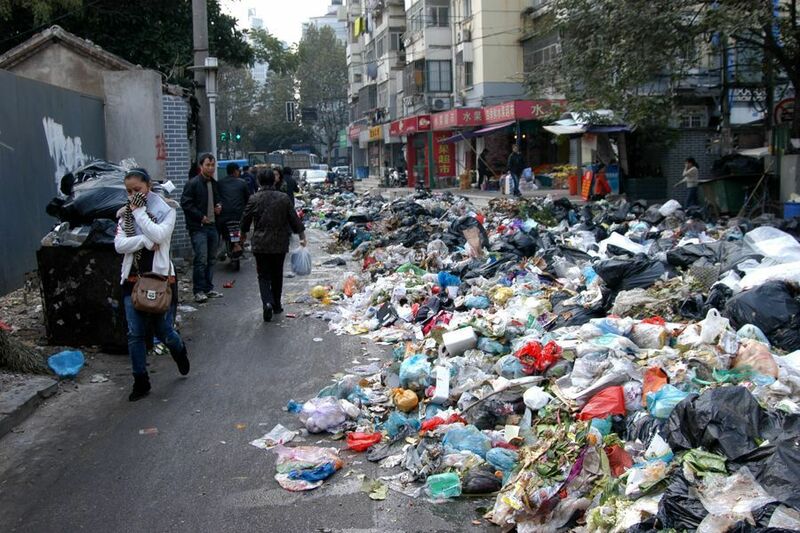 With per capita waste generation of 0.5 kg per day, the city generates more than 10,000 tons of urban waste every day. Despite being a model for other states in the country, municipal waste management is a big challenge for the Lagos State Waste Management Agency (LAWMA) to manage alone, hence the need to engage the services of private waste firms and other franchisee to reduce the burden of waste collection and disposal. One fundamental issue is the delayed collection of household solid waste. In some cases, the wastes are not collected until after a week or two, consequently, the waste bin overflows and litters the surroundings. Improper waste disposal and lack of reliable transport infrastructure means that collected wastes are soon dispersed to other localities. Another unwelcome practice is to overload collection trucks with 5-6 tons of waste to reduce the number of trips; this has necessitated calls by environmental activist to prevail on the relevant legislature to conform to the modern waste transportation standard. Away from Lagos State, Oyo is another ancient town in Nigeria with an estimated population of six million people. Here, solid waste is regulated by the Oyo State Solid Waste Management Authority (OYOWMA). 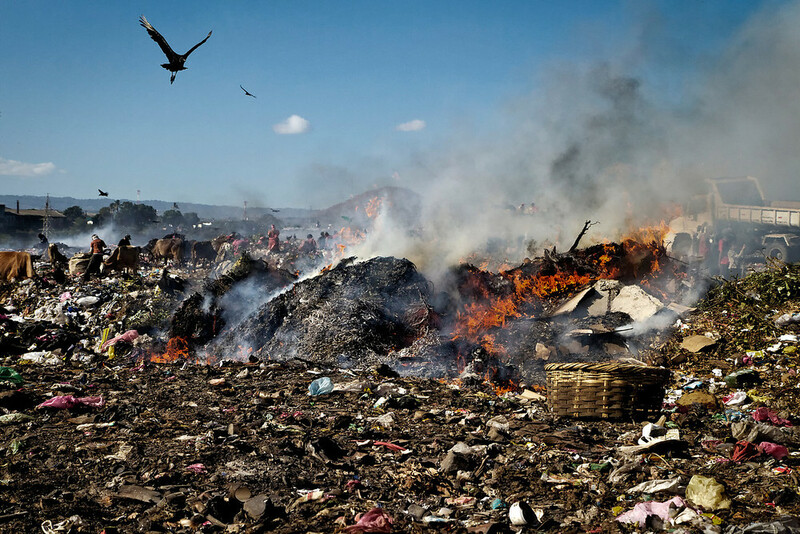 Unlike Lagos State, Oyo State does not have a proper waste management scheme that cuts across the nooks and crannies of the state, apart from Ibadan, the capital city, people from other towns like Ogbomoso and Iseyin resort to waste burning. 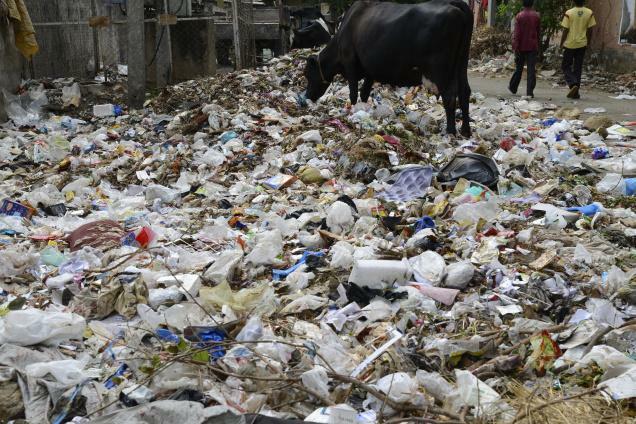 In case the waste generators feels that the amount being charged by the waste franchisee is beyond their means, they dump the waste along flood paths thus compounding the waste predicament. Kano and Rivers State with its fair share of population also suffers similar fate in controlling and managing solid waste. Generally speaking, population increase in Nigeria has led to an unprecedented growth in its economy but with a devastating effect on the environment as more wastes are generated due to the need for housing, manufacturing industries and a boost in trade volume. The government at the federal level as a matter of urgency needs to revive its regulatory framework that will be attractive for private sectors to invest in waste collection, recycling and reusing. The environmental health officer’s registration council of Nigeria would do well to intensify more effort to monitor and enforce sanitation laws as well as regulate the activities of the franchisees on good sustainable practices. Taking the advocacy further on waste management, to avoid littering the environment, some manufacturing companies (e.g. chemical and paint industry) have introduced a recall process that will reward individuals who returns empty/used plastic containers. This cash incentive has been proven over time to validate the waste to wealth program embarked upon by the manufacturing companies. It is also expected that the government will build more composting and recycling plants in addition to the ones in Ekiti and Kano State to ensure good sustainable waste management. Waste management situation in Nigeria currently requires concerted effort to sensitize the general public on the need for proper disposal of solid waste. Also, the officials should be well trained on professionalism, service delivery and ensure that other states within the country have access to quality waste managers who are within reach and can assist on the best approach to managing their waste before collection. The increasing clamor for energy and satisfying it with a combination of conventional and renewable resources is a big challenge. Accompanying energy problems in almost all parts of the world, another problem that is assuming critical proportions is that of urban waste accumulation. The quantity of waste produced all over the world amounted to more than 12 billion tonnes in 2006, with estimates of up to 13 billion tonnes in 2011. The rapid increase in population coupled with changing lifestyle and consumption patterns is expected to result in an exponential increase in waste generation of up to 18 billion tonnes by year 2020. Ironically, most of the wastes are disposed of in open fields, along highways or burnt wantonly. 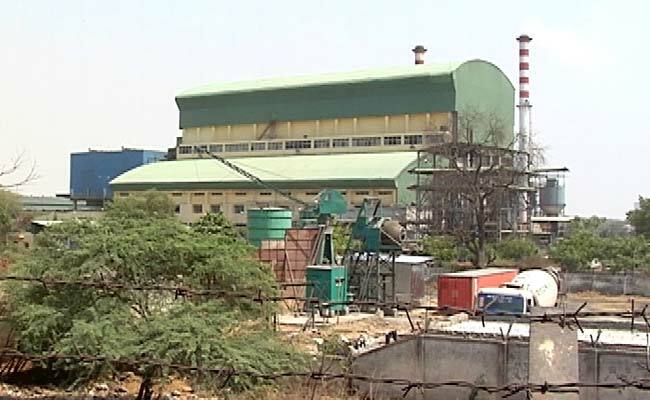 Around 130 million tonnes of municipal solid waste (MSW) are combusted annually in over 600 waste-to-energy (WTE) facilities globally that produce electricity and steam for district heating and recovered metals for recycling. The global market for biological and thermochemical waste-to-energy technologies is expected to reach USD 7.4 billion in 2013 and grow to USD 29.2 billion by 2022. Incineration, with energy recovery, is the most common waste-to-energy method employed worldwide. Since 1995, the global WTE industry increased by more than 16 million tonnes of MSW. Over the last five years, waste incineration in Europe has generated between an average of 4% to 8% of their countries’ electricity and between an average of 10% to 15% of the continent’s domestic heat. Advanced thermal technologies, like pyrolysis, and anaerobic digestion systems are beginning to make deep inroads in the waste-to-energy sector and are expected to increase their respective market shares on account of global interest in integrated waste management framework in urban areas. Scarcity of waste disposal sites coupled with growing waste volumes and solid waste management challenges are generating high degree of interest in energy-from-waste systems among policy-makers, urban planners, entrepreneurs, utility companies etc. Currently, the European nations are recognized as global leaders of waste-to-energy movement. They are followed behind by the Asia Pacific region and North America respectively. In 2007 there are more than 600 WTE plants in 35 different countries, including large countries such as China and small ones such as Bermuda. Some of the newest plants are located in Asia. China is witnessing a surge in waste-to-energy installations and has plans to establish 125 new waste-to-energy plants during the twelfth five-year plan ending 2015. Incineration is the most common waste-to-energy method used worldwide. The United States processes 14 percent of its trash in WTE plants. Denmark, on the other hand, processes more than any other country – 54 percent of its waste materials. 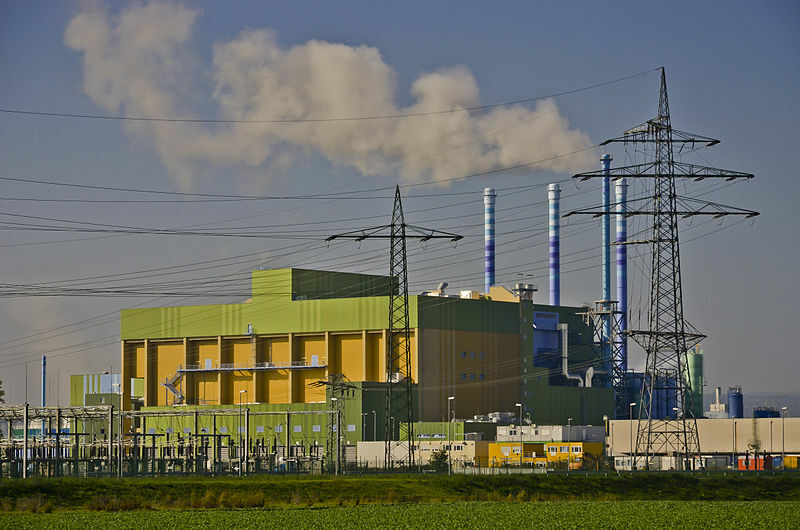 As at the end of 2008, Europe had more than 475 WTE plants across its regions – more than any other continent in the world – that processes an average of 59 million tonnes of waste per annum. In the same year, the European WTE industry as a whole had generated revenues of approximately US$4.5bn. Legislative shifts by European governments have seen considerable progress made in the region’s WTE industry as well as in the implementation of advanced technology and innovative recycling solutions. The most important piece of WTE legislation pertaining to the region has been the European Union’s Landfill Directive, which was officially implemented in 2001 which has resulted in the planning and commissioning of an increasing number of WTE plants over the past five years. The Kingdom of Bahrain is an archipelago of around 33 islands, the largest being the Bahrain Island. The population of Bahrain is around 1.2 million marked by population density of 900 persons per km2, which is the highest in the entire GCC region. The country has the distinction of being one of the highest per capita municipal solid waste generators worldwide estimated to be 1.67 – 1.80 kg per person per day. Infact, Bahrain produces largest amount of waste per person among GCC countries despite being the smallest nation in the region. Rising population, high waste generation growth rate, limited land availability and scarcity of waste disposal sites has made solid waste management a highly challenging task for Bahrain’s policy-makers, urban planners and municipalities. The Kingdom of Bahrain is divided into five governorates namely Manama, Muharraq, Middle, Southern and Northern. 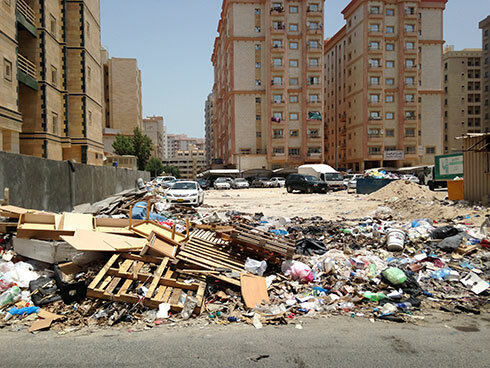 Waste collection and disposal operation in Bahrain is managed by a couple of private contractors. Gulf City Cleaning Company is active in Muharraq and Manama while Sphinx Services is responsible for Southern, Middle, and Northern Areas. The prevalent solid waste management scenario is to collect solid waste and dump it at the municipal landfill site at Askar. Askar, the only existing landfill/dumpsite in Bahrain, caters to municipal wastes, agricultural wastes and non-hazardous industrial wastes. 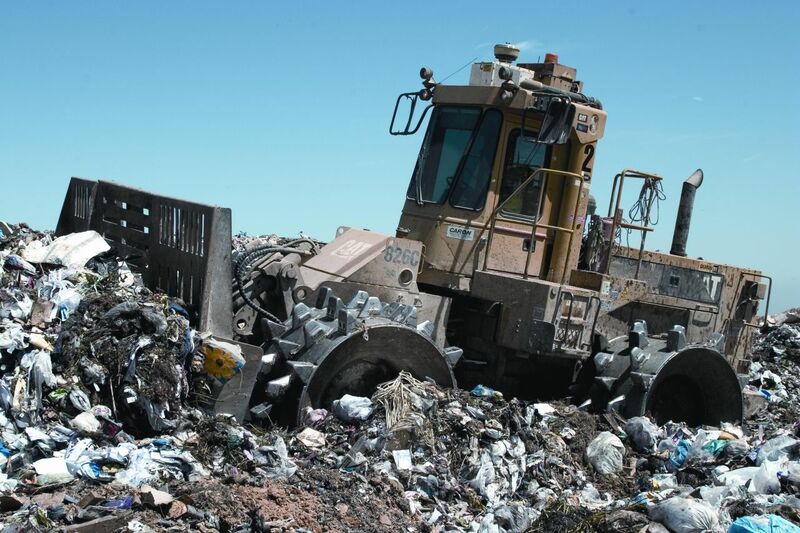 Spread over an area of more than 700 acres, the landfill is expected to reach its capacity within the next few years. The proximity of Askar landfill to urban habitats has been a cause of major environmental concern. Waste accumulation is increasing at a rapid pace which is bound to have serious impacts on air, soil and groundwater quality in the surrounding areas. The Kingdom of Bahrain is grappling with waste management problems arising out of high population growth rate, rapid industrialization, high per capita waste generation, unorganized SWM sector, limited land resources and poor public awareness. 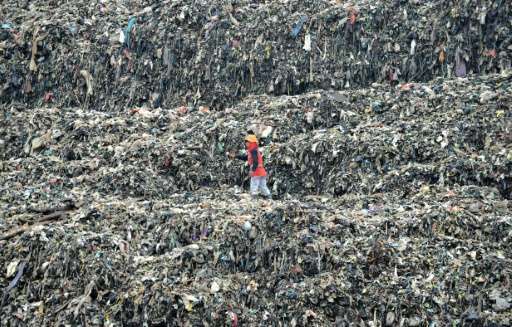 The government is trying hard to improve waste management scenario by launching recycling initiatives, waste-to-energy project and public awareness campaign. However more efforts, in the form of effective legislation, large-scale investments, modern SWM technology deployment and environmental awareness, are required from all stake holders to implement a sustainable waste management system in Bahrain. Waste-to-energy is the use of modern combustion and biological technologies to recover energy from urban wastes. There are three major waste to energy conversion routes – thermochemical, biochemical and physico-chemical. Thermochemical conversion, characterized by higher temperature and conversion rates, is best suited for lower moisture feedstock and is generally less selective for products. On the other hand, biochemical technologies are more suitable for wet wastes which are rich in organic matter. The three principal methods of thermochemical conversion are combustion in excess air, gasification in reduced air, and pyrolysis in the absence of air. The most common technique for producing both heat and electrical energy from household wastes is direct combustion. Combined heat and power (CHP) or cogeneration systems, ranging from small-scale technology to large grid-connected facilities, provide significantly higher efficiencies than systems that only generate electricity. Combustion technology is the controlled combustion of waste with the recovery of heat to produce steam which in turn produces power through steam turbines. 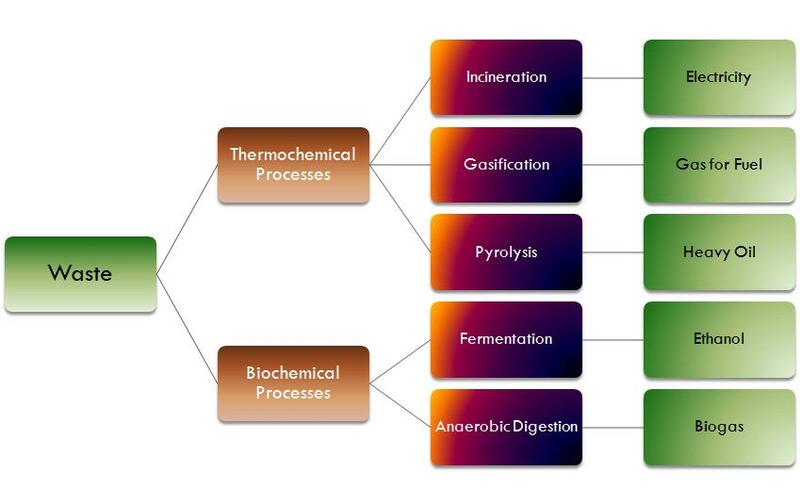 Pyrolysis and gasification represent refined thermal treatment methods as alternatives to incineration and are characterized by the transformation of the waste into product gas as energy carrier for later combustion in, for example, a boiler or a gas engine. Plasma gasification, which takes place at extremely high temperature, is also hogging limelight nowadays. Biochemical processes, like anaerobic digestion, can also produce clean energy in the form of biogas which can be converted to power and heat using a gas engine. Anaerobic digestion is the natural biological process which stabilizes organic waste in the absence of air and transforms it into biofertilizer and biogas. Anaerobic digestion is a reliable technology for the treatment of wet, organic waste. Organic waste from various sources is biochemically degraded in highly controlled, oxygen-free conditions circumstances resulting in the production of biogas which can be used to produce both electricity and heat. In addition, a variety of fuels can be produced from waste resources including liquid fuels, such as ethanol, methanol, biodiesel, Fischer-Tropsch diesel, and gaseous fuels, such as hydrogen and methane. The resource base for biofuel production is composed of a wide variety of forestry and agricultural resources, industrial processing residues, and municipal solid and urban wood residues. Globally, biofuels are most commonly used to power vehicles, heat homes, and for cooking. The physico-chemical technology involves various processes to improve physical and chemical properties of solid waste. 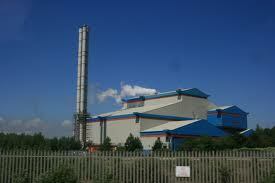 The combustible fraction of the waste is converted into high-energy fuel pellets which may be used in steam generation. The waste is first dried to bring down the high moisture levels. Sand, grit, and other incombustible matter are then mechanically separated before the waste is compacted and converted into fuel pellets or RDF. Fuel pellets have several distinct advantages over coal and wood because it is cleaner, free from incombustibles, has lower ash and moisture contents, is of uniform size, cost-effective, and eco-friendly.